The Los Angeles Times called on Thursday morning, just hours before the senior vice president of public affairs for Starbucks arrived in Missoula. 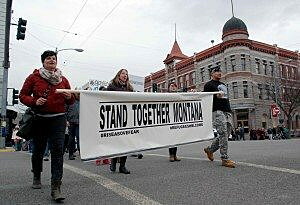 Both were inquiring about Soft Landing Missoula and the work it’s doing to help refugees make a new life in Montana. 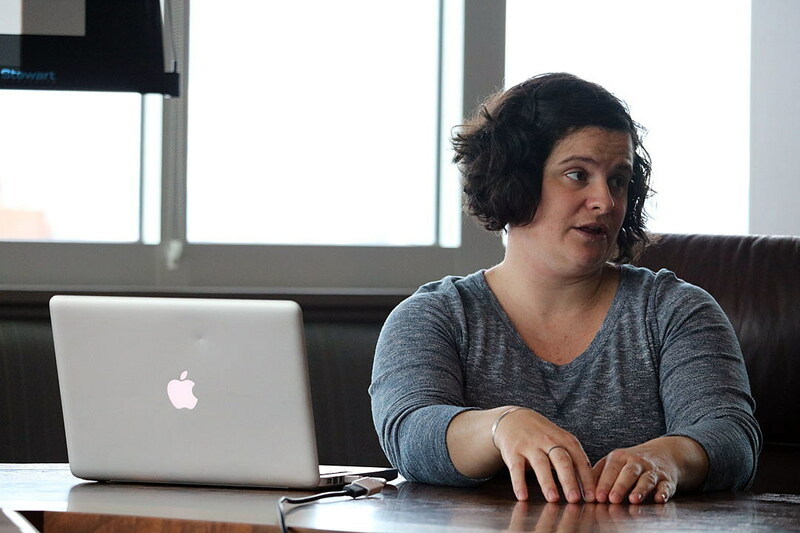 Mary Poole, director of Soft Landing, provided members of Leadership Missoula an update on the program’s successes and where it looks to improve. In doing so, Poole announced that a family from Ethiopia had recently arrived in Missoula, bringing to five the number of nations now represented in the city’s resettlement efforts. While the International Rescue Committee gave Missoula a quota of 150 refugees when it opened its office here last year, Poole said that figure may be up in the air given changes taking place under the Trump administration. Poole said the IRC is happy with Missoula and believes the local program will survive for multiple years, despite what happens in Washington, D.C. The president’s initial refugee ban was shot down by the courts as unconstitutional and the second version has been delayed by the courts. Even so, Poole said, Trump has already reduced former President Barack Obama’s goal to resettle 110,000 refugees in the U.S in Fiscal Year 2017 by more than half. Poole, who conducted an interview with the BBC last year, fielded a call from the LA Times on Thursday morning. At the afternoon meeting, she was joined by Rajiv Chandrasekaran, the senior vice president of public affairs for Starbucks. Chandrasekaran writes short stories and films with Howard Schultz, the CEO of Starbucks, that focus on “ordinary Americans who are bringing about extraordinary change” in cities across the country. Chandrasekaran took notes throughout the meeting, listening as Poole described Soft Landing’s evolution over the past two years, and how it has grown since the first refugee arrived in Missoula last year. That came nearly a year to the day after the death of 3-year-old Aylan Kurdi inspired Poole and her friends to launch the organization. It’s now partnering with community groups to find jobs for those who have arrived and to drum up donations of clothing and furniture. English teachers are welcome, she said, as are driving teachers. They’re also looking for beauty products that aren’t easy to come by in Missoula, including hair-care products suited for non-Caucasians. The refugees who do come arrive with a small stipend from the federal government to find initial housing. The $1,100 is enough in some cases to cover first and last month’s rent, and Poole said several local housing agencies have been good to work with. With some experience now under its feet, Poole said Soft Landing plans to expand its community outreach. 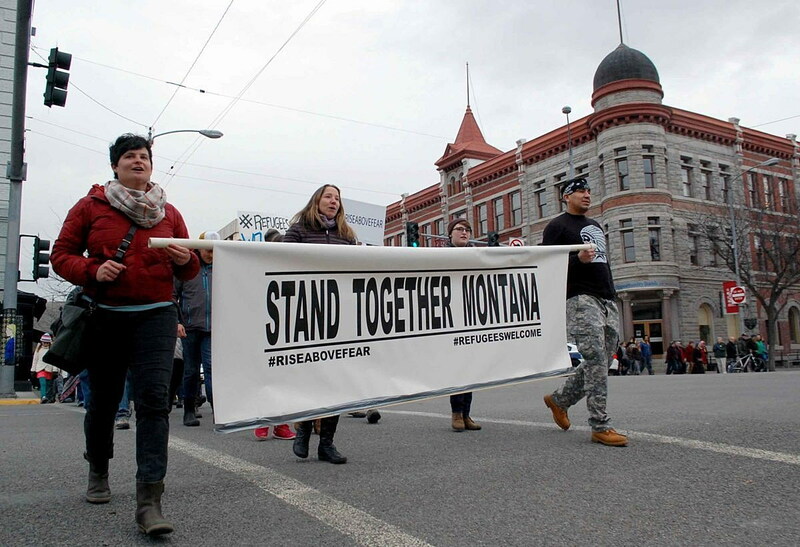 Other cities around Montana and beyond are looking to Missoula for its success as they consider launching programs of their own. Despite the early controversy surrounding the program’s resettlement efforts, Poole remains proud of the work they’ve accomplished. She also believes her children will have a richer experience as the city becomes more diverse. “My son’s going to be sitting his whole life now next to people in school who are different nationalities, religions and colors, and really start to understand the real beauty of the world,” Poole said.